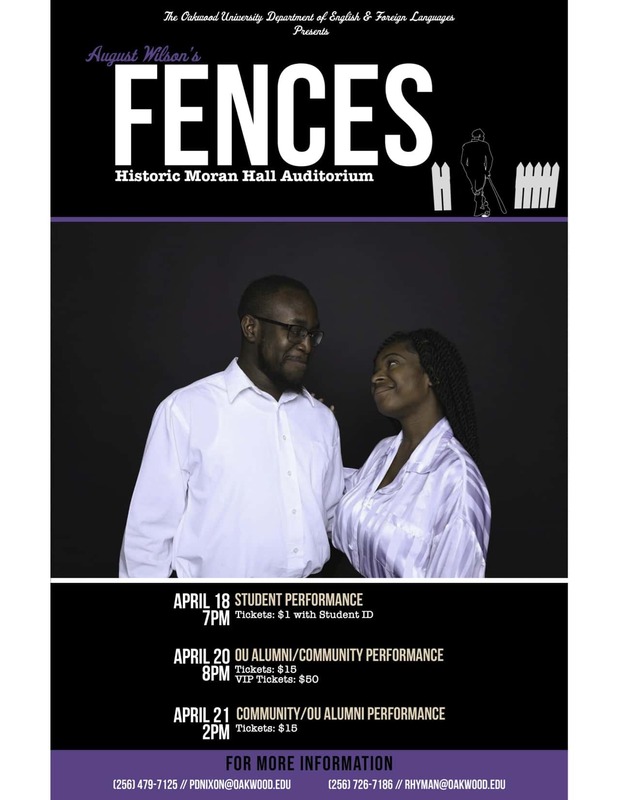 The Department of English and Foreign Languages at Oakwood University presents August Wilson’s FENCES. There will be three performances; Thursday, April 18, 2019, Saturday, April 20, 8:00 PM and Sunday, April 21, 2019, at 2:00. The performances will take place in the historic Moran Hall Auditorium on campus. Tickets are $15.00, but $10.00 for seniors 60 and above. For more information contact the department of English at 256-726-7186.